Big Dog Breeds 5 - Big dogs are the most numerous group of animals in the world and very popular because they are capable of performing a wide range of jobs from hunting, to search and rescue to military work or just being a companion and lap dog. Yes, for some odd reason, large dogs don't seem to have a true understanding of their own size. They seem to think they are still the same size they were when they were puppies! 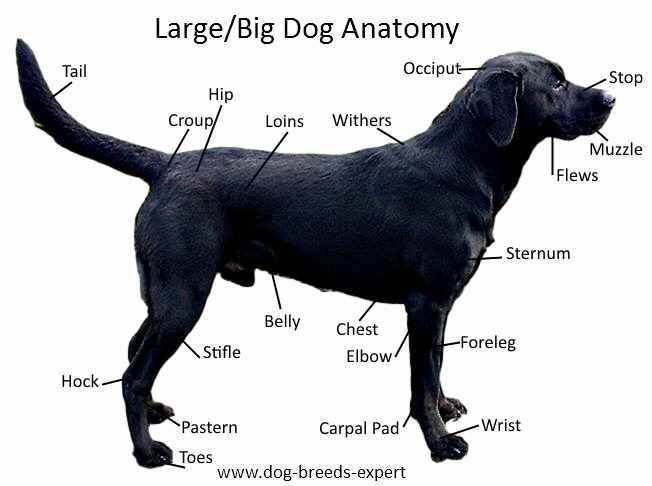 Ever wonder what to call different parts of your big dog? Dogs on this Big Dog Breeds 5 page are between 44-88 pounds. Some fall over the limit but we have included them here also. This rare Indian breed was once the favorite of Indian Princes. They were used to hunt jackal and deer and even wild boar. Here is one easy going breed. They want to be with you but are not clingy or in your face. They love to please but need lots of exercise to keep them happy. They make a good family pet, getting along great with people, children, and other dogs. Small pets may be seen as prey. 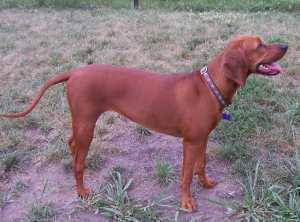 Beyond the companion, they make great hunting dogs and have an uncanny treeing ability. Perhaps the only member of the Hound group that is also useful as protection, They are a loyal guardian, do great with kids as well as being a great hunter. Their size and boisterous nature may be too overwhelming for really small children, though. They can be a strong-willed dominant dog, so an experienced owner is recommended. Bold and imposing, this breed has been know for their guarding abilities. They are almost to big for this big dog breeds list and would fit well into the giant dog breed list too. A powerful breed that needs training and early socialization, but they make great family pets. They are very protective of their family and somewhat reserved around strangers. For families and individuals who can provide the daily mental and physical stimulation, they are rewarded with a devoted companion. 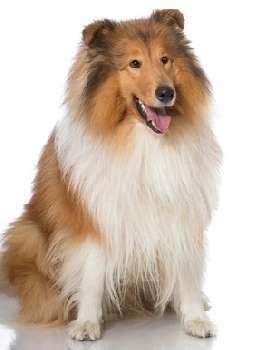 Maybe one the best loved dog breeds of all times, due to Lassie, these dogs are mild-tempered and tolerant of children, other dogs, and pets. They are affectionate, easy to train and add a little protection to your family. Originally used for herding, it is not unusual to have yourself or your children herded from time to time. 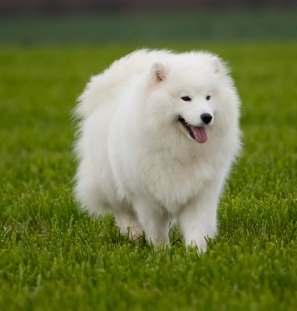 A strong, sturdy Spitz dog, the Samoyed was first developed to herd reindeer in the Arctic. They also guarded them, hunted bear and kept children warm at night. Today, they make great family pets, friendly with people and other dogs, but they do require daily physical and mental workouts to keep them from getting bored and mischievous. Their coat requires considerable grooming. One of the most popular of the Arctic dogs, they are loved today as companions and great family pets. They have a long history of helping people, pulling sleds and as search and rescue dogs during World War II. The most famous members of this breed raced against time to deliver a supply of serum to the residents of Nome, Alaska who was in a diphtheria crisis. This African breed is prized as a good hunter and good companion. Virtually unknown outside of Africa until just recently, they are quiet and enjoys the companionship of people. They do not do well with small pets because of their strong prey drive. 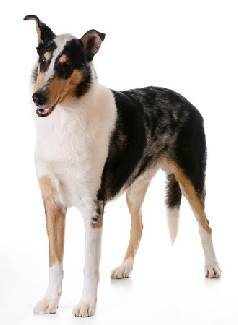 Like their more common cousin, the Rough Collie, these dogs are mild-mannered and friendly and make great family pets. They excel in agility and obedience and are very easy to train. Their coat is much more easy to manage making them an easy pet to own. But, they don't look like Lassie! 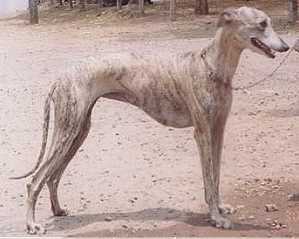 This is an ancient breed that was nearly wiped out after World War II. 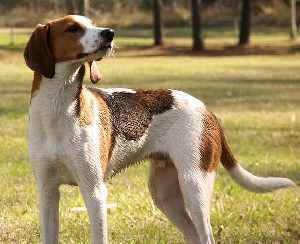 Efforts by breeders brought it back and now it is an excellent hunting dog that can point, set and retrieve. 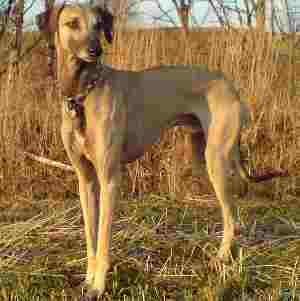 A very popular breed in Italy and other European countries, it is much more rare in America. 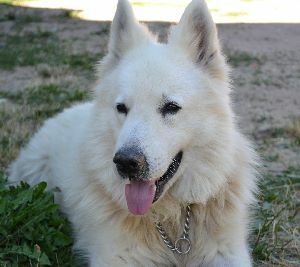 They are devoted and gentle and very affectionate, getting along well with other dogs and pets. 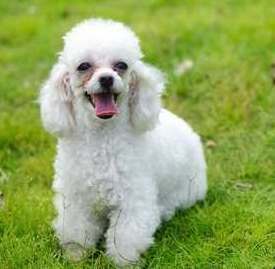 The poodle has remained one of the most popular breeds of dogs for many years. The Standard poodle falls within the framework for this big dog breeds page. 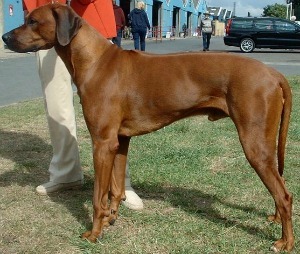 The Standard version is also very smart and one of the most obedient breeds. They love adventure and do extremely well as a family pet. They are good with children, but somewhat reserved with strangers. They still retain some of their hunting instincts which means they love to run, swim and retrieve. The coat, as you might suspect is time consuming to maintain. A daily brushing and bimonthly visits to the groomers is a must. Once used for hunting elk, bear and lynx, this is Sweden's National Dog. They are popular with the Swedish Military and families find them good companions. They are calm and affectionate around their family, but they do not do well with other dogs or pets, because of their strong prey drive. Like other hunting type dogs, they require daily opportunities for exercise and mental stimulation. 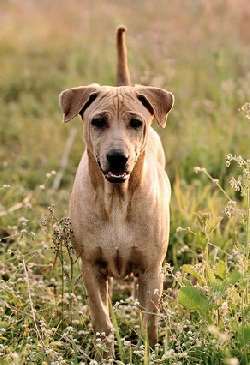 This ancient breed was not known outside of Thailand until the 1970s. It was originally used for hunting and as a guard dog. 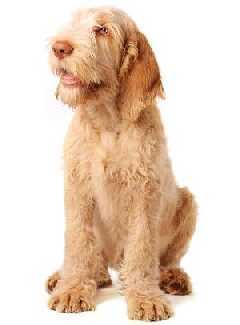 Today, they are primarily a companion dog, They make a loving, loyal pet but still retain their protective instincts. They need early training and socialization to keep from being aggressive. 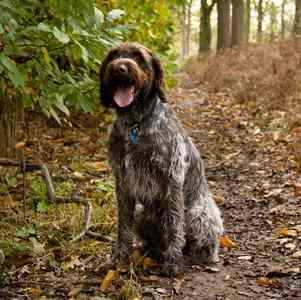 Even though most Treeing Walkers are kept as hunters, they also make excellent companions and house dogs. 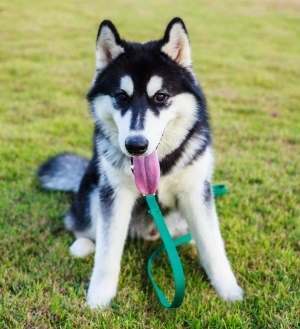 They are loving and eager to please, but also have a booming bark and are not known for being exceptional obedient. They love everyone, people, dogs, other pets, but they need a lot of exercise in a fenced in area. Once on a scent trail, they may not even hear your call. 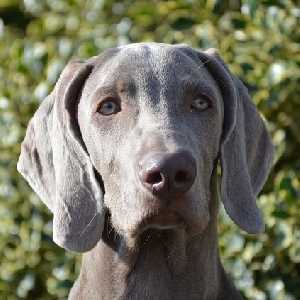 First developed in nineteenth century Germany, these dogs became very popular in America as gundogs and companions. They can be rambunctious and a bit overwhelming to small children, but they love love to play. They are also a highly active breed and need daily exercise, otherwise they will get frustrated and possibly destructive Owners often describe them as an "in your face" dog because they always want to be by your side wanting attention. 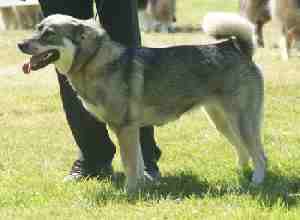 First brought into Switzerland in the 1970s, they were developed over the course of a couple decades and recognized as a breed in 1991. These intelligent dogs are hard workers and companions. They come in two varieties, long hair and medium-haired. Having been developed in Holland around the middle 1800s, the breed grew very popular in France making people believe it was a French breed. Like many breeds, World War II had devastating effects on them but they were resurrected after the war ended. 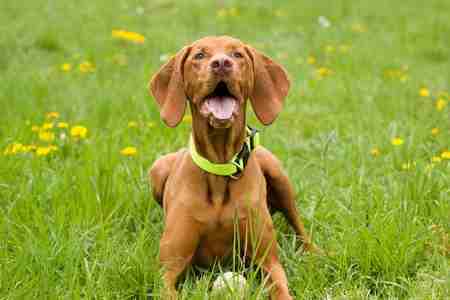 Now they are considered a great gundog and family pet, willing to please and often comical. 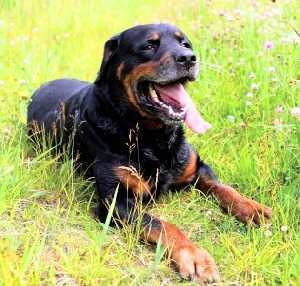 They are friendly toward people, other dogs and pets and do well with children. Ready to Leave Big Dog Breeds 5?